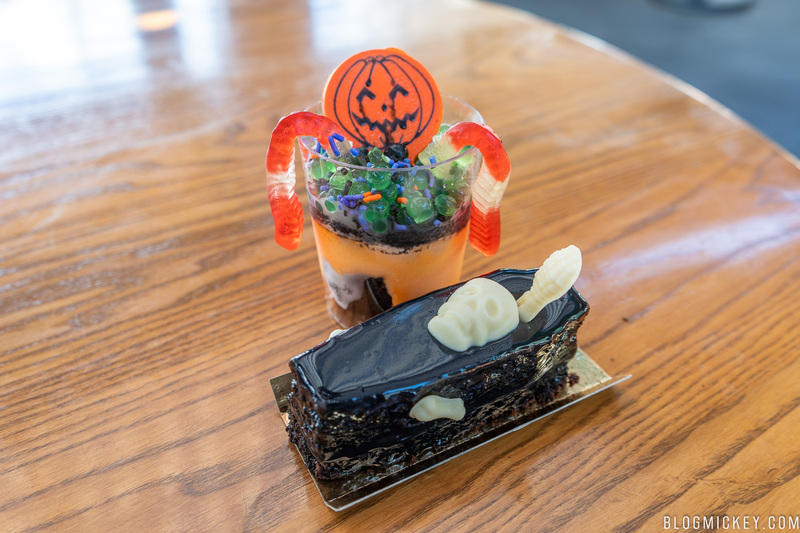 There are some new Halloween-themed treats at Disney’s Hollywood Studios and we visited this morning to check them out! 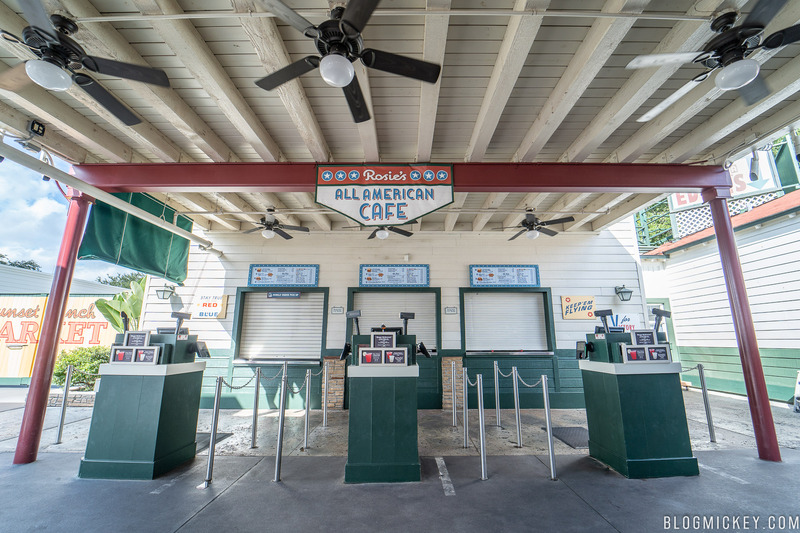 It’s worth noting that while we found these desserts at Rosie’s All-American Cafe, they can also be found at ABC Commissary. 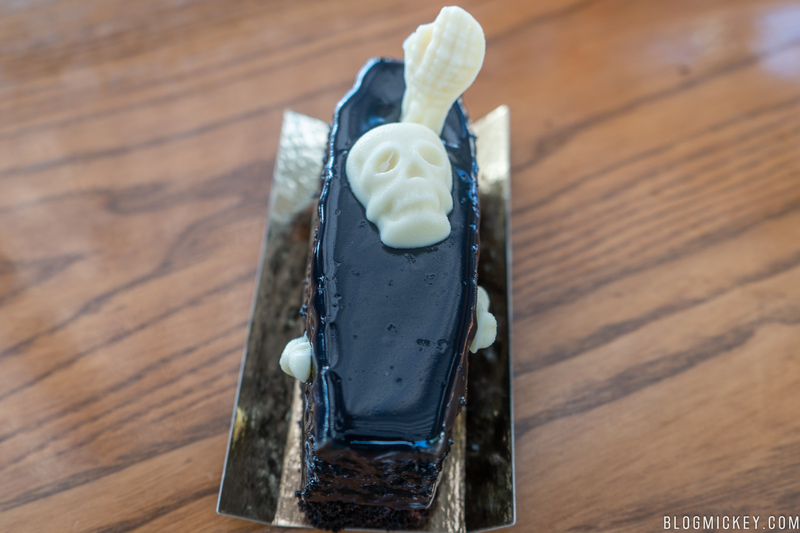 First up is the Peanut Butter and Chocolate Coffin Cake. 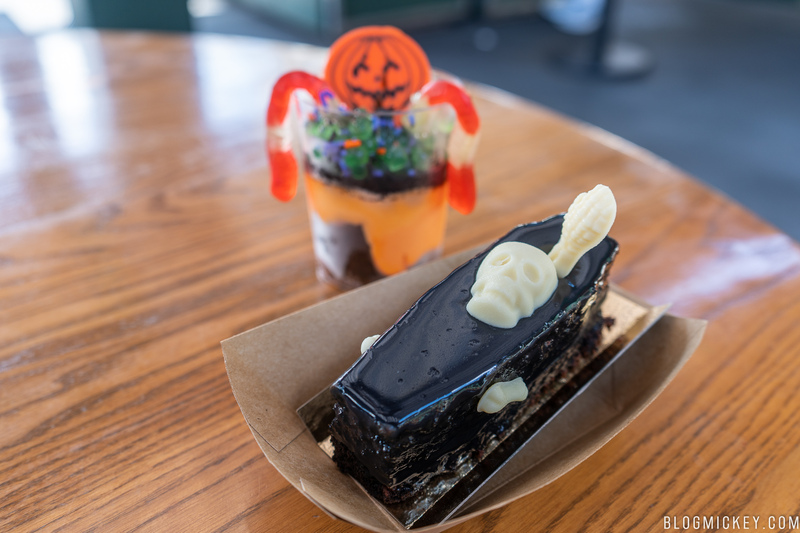 It’s a Coffin Cake layered with Peanut Butter and Chocolate and topped with Chocolate Ganache. Both of these desserts impressed with their presentation. A few white chocolate bones are trying to escape this mostly chocolate cake. A thin layer of peanut butter supplements the flavor profile nicely. Overall, it’s a strongly chocolate flavored cake. If only one of these desserts is in your budget, keep reading! Next is the Chocolate and Orange Cream Parfait. The Chocolate and Orange Cream Parfait was the real winner! It exceeded our expectations with both presentation and flavors. 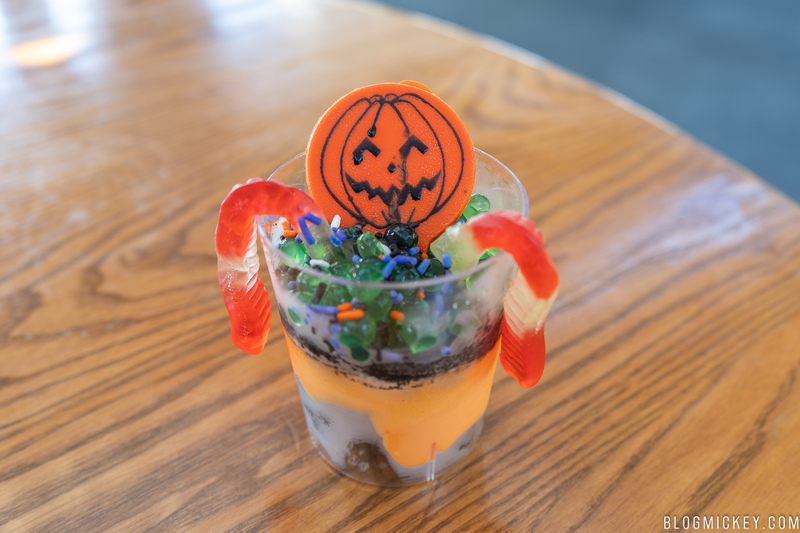 Two gummy worms are crawling out of a bed of popping boba balls and Halloween sprinkles. Served chilled, the parfait sandwiches an orange-colored vanilla cream between two layers of chocolate sponge cake. Everything works really well here! 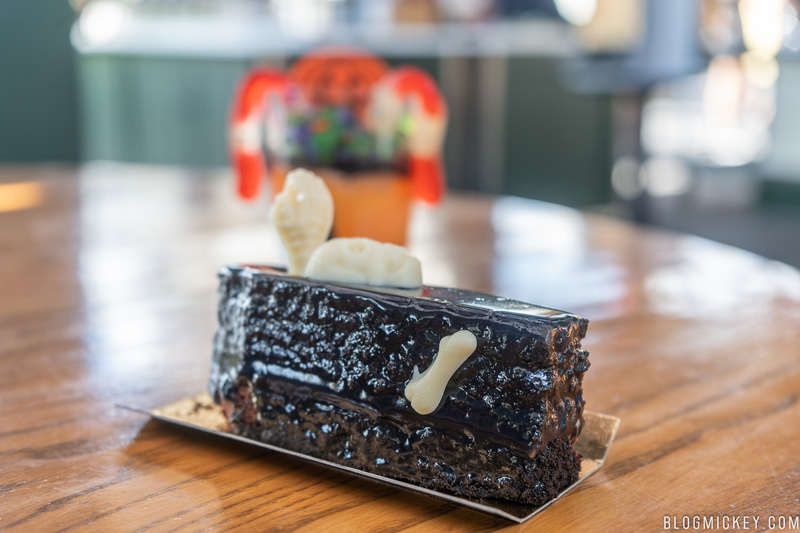 The dessert is light, chilled, and combines classic flavors of chocolate and vanilla in a fun, spooky presentation. 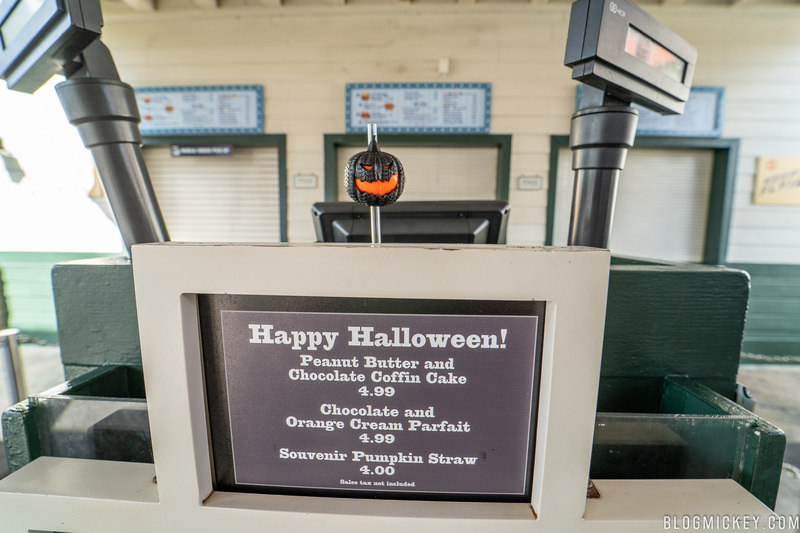 The straw actually lights up with three different settings – quick strobe, slow strobe, and steady. 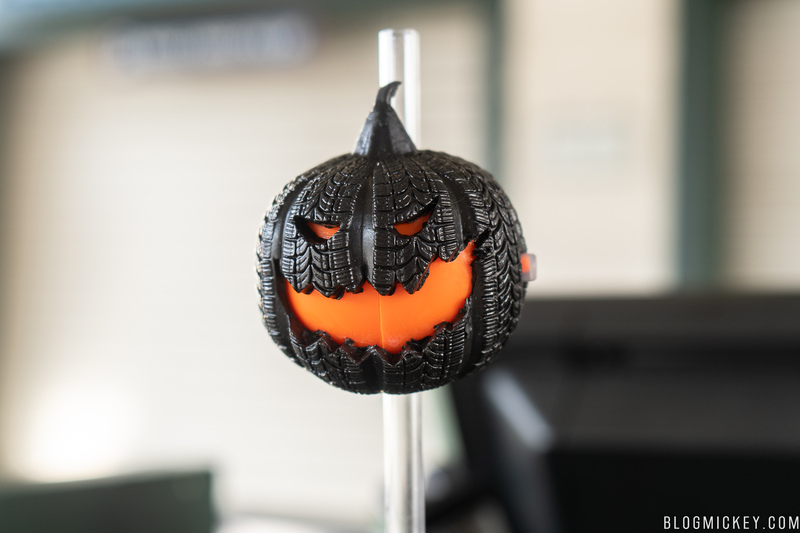 The pumpkin is themed to a tire, as the design originated out in Cars Land in Disney California Adventure and wasn’t changed for Walt Disney World. The impressive thing here is that the tire material isn’t a hard plastic, but a rather soft, almost pliable material.